Home | St. Johnsbury Welcomes You… and Your Pets! St. Johnsbury Welcomes You… and Your Pets! The town of St. Johnsbury welcomes all kinds of pets, and there’s a special place in the St. Johnsbury community for dogs. Every dog and dog-lover can revel in the joy of Dog Mountain: 150 unspoiled acres for romping, where dogs are not just welcome, they are cherished. The St. Johnsbury community cares for families, and they count four-legged members as part of the clan. The St. Johnsbury Chamber of Commerce has developed some guidelines to make sure everyone is safe and comfortable when visiting. We are happy you’re traveling with your dog, but please leave your pet outside unless we invite you to come in with your dog. We have a water dish that can be put outside (if it’s not already there). We may have treats for your dog. Ask us to guide you to areas where you can walk with your dog, including Dog Mountain, St. Johnsbury Town Forest, Fred Mold Park, and the Lamoille Valley Rail Trail. For overnights, you and your pet will find comfortable accommodations at these establishments. 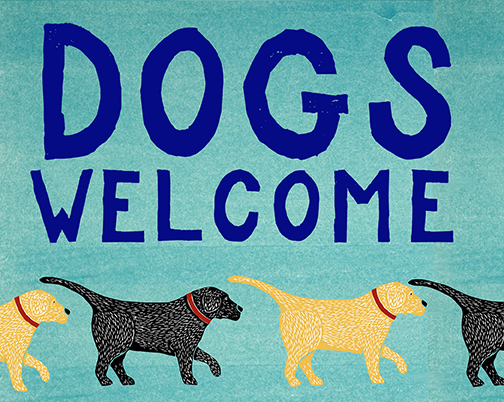 Please call ahead to reserve a pet-friendly room and ask about additional fees. Deluxe, completely non-smoking accommodations designed for comfort and convenience. For a night of romance or relaxation, settle into one of our magnificent and spacious suites. Pool/sauna, exercise room, banquet rooms available. $30/pet. Pet friendly cottage with 3 bedrooms; kitchen and dining room. Large living room and function space. Porch overlooking the Town of St. Johnsbury. The main house has quaint bedrooms in Victorian style. Call for availability in both spaces. Breakfast is included in B&B option. Pet friendly RV and cabin rentals along the Moose River – perfect base for your Northeast Kingdom adventures.